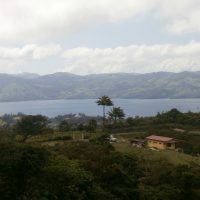 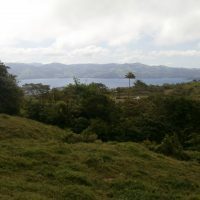 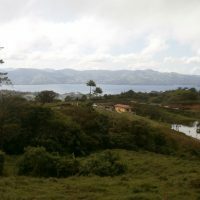 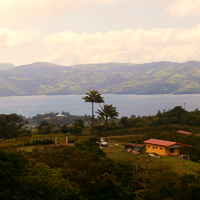 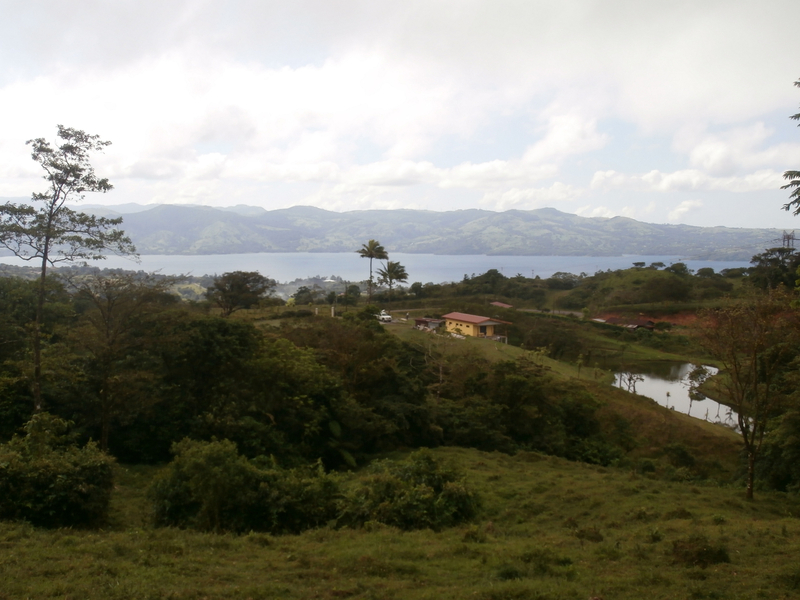 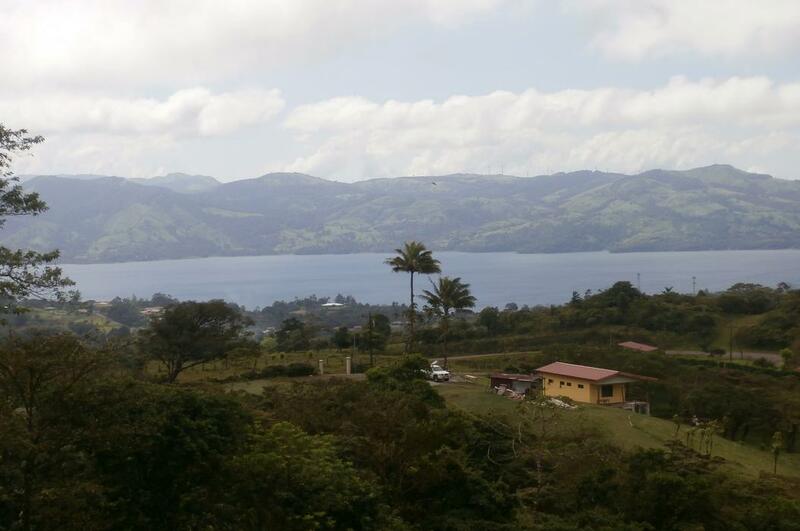 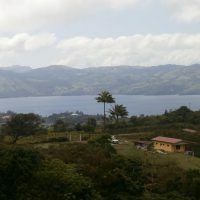 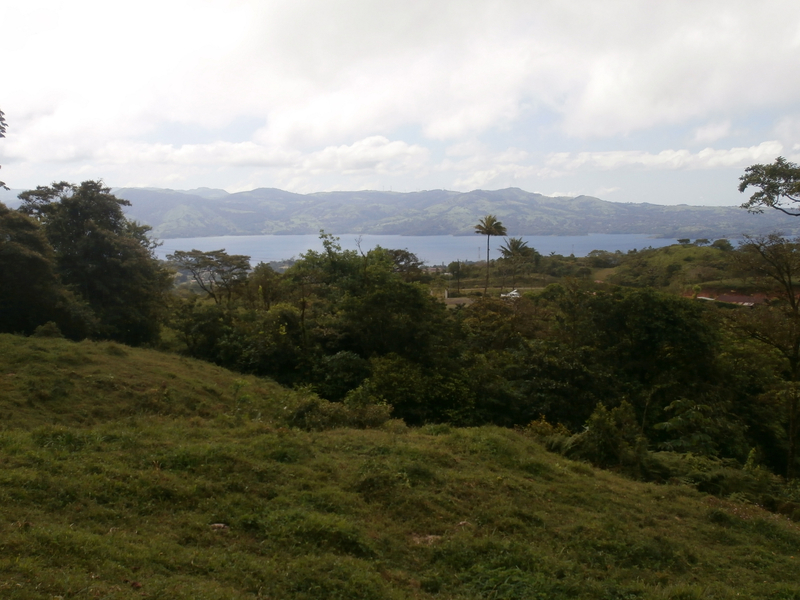 15,000 m2 (3 3/4 acre) lot in the hills above Arenal featuring beautiful lake view. 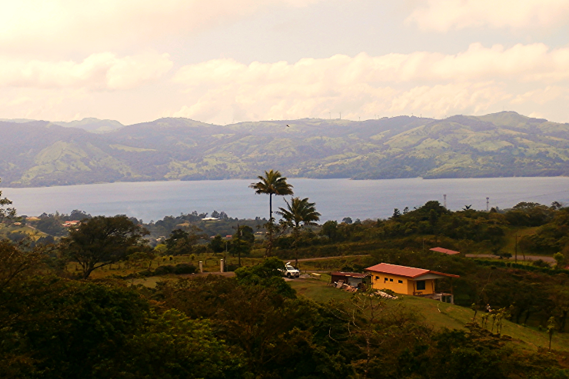 Loction is on a good dirt road, which is now being paved. 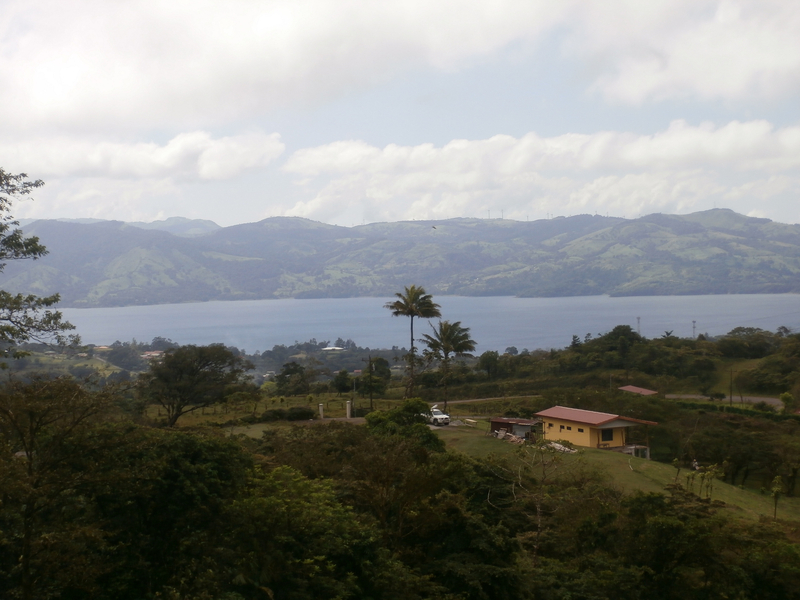 After works done driving to town/lake will be a breeze and property value will certainly go up. 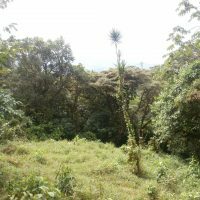 Higher elevation enabling cooler, more pleasant climate. 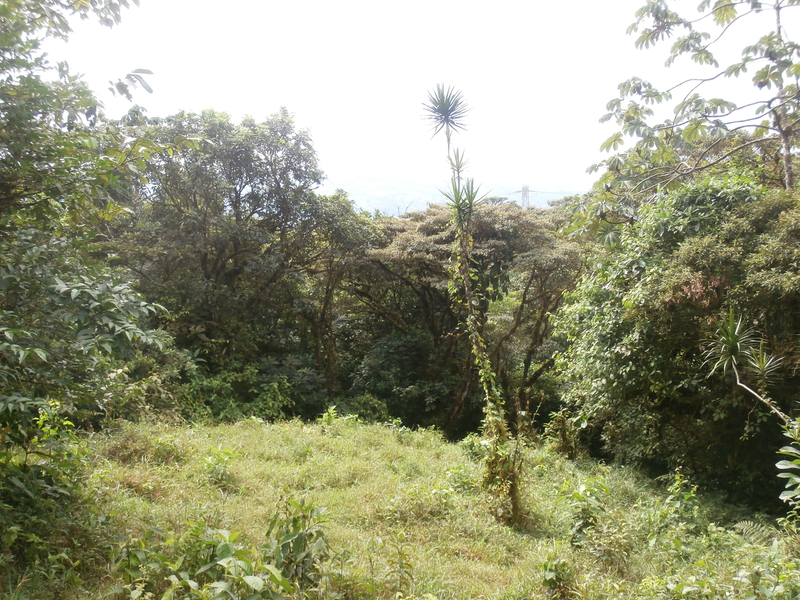 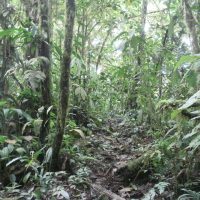 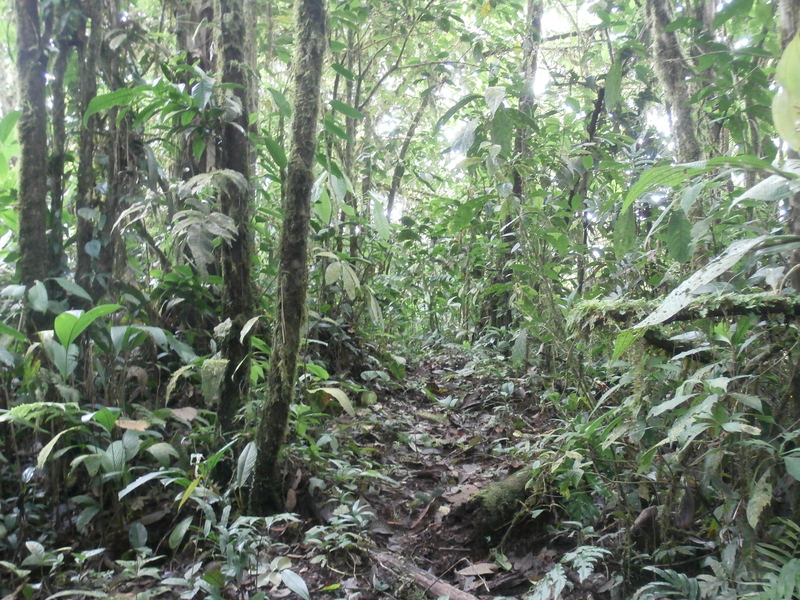 Part of the property was cleared while the rest is covered by a lush rain forest.